South Africa has been harshly affected by the international economic crisis, which led to a fall in the GDP and an even sharper contraction in employment. While job losses levelled out in the last quarter of 2009, the crisis will continue to shape long-run development. In particular, it points to the need for a development strategy that builds more on domestic and regional demand and that focuses explicitly on employment creation as central to a cohesive and equitable society. South Africa’s GDP declined by approximately 3% between the last quarter of 2008 and the second quarter of 2009, and then increased in the third quarter of 2009. In comparison, the fall in employment proved steeper and more prolonged. The economy lost around a million jobs, or 6%, between the fourth quarter of 2008 and the third quarter of 2009, and gained only 90 000 back in the last quarter of 2009. 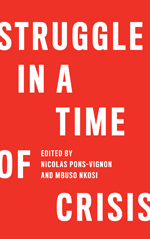 The employment losses following from the global crisis aggravated the deep inequalities that have long characterised the South African economy. They had the heaviest impact on low-income workers, especially in marginalised sectors like informal, domestic and agricultural work. In addition, very high levels of job loss amongst young workers had particularly negative implications for social cohesion and long-term development. Government’s short-run response included a counter-cyclical fiscal policy and substantial infrastructure investment. This response moderated the drop in investment and growth and presumably the loss of jobs. Still, the employment loss remained very large, and the government’s response did not provide direct support to the self-employed informal and domestic workers who lost their incomes. Nor did it address the rapid recovery in capital inflows, which as discussed below led to a stronger rand, making the economy as a whole less competitive. The international crisis was associated with far-reaching structural changes in the global economy. That, in turn, has implications for South Africa’s longer term development strategy. In particular, profound shifts in international markets make it seem even less likely that South Africa can in future grow on the basis of manufactured exports – the traditional approach to industrial policy that has been at the centre of government’s economic strategy since the end of apartheid in 1994. The emphasis on exporting manufactured goods has largely shaped the discourse on industrial policy worldwide as well as in South Africa. It reflects the belief that the rapid economic growth in East Asia from the 1960s was rooted in vigorous industrial policies to support manufacturing for markets mostly in Europe and the US. 1. East Asian countries generally enjoyed relative equality and social cohesion , which meant both capital and workers were more likely to agree on economic growth as a social panacea. In particular, measures to raise productivity prove more acceptable in economies with high levels of low-wage employment than in economies with low employment, where growth through rising productivity in export sectors may be associated with very limited employment creation. 2. The United States provided extraordinary levels of support to the East Asian countries, which it saw at least until the 1990s as a bulwark against communism. 3. Over the past half century East Asia as a whole gradually developed logistics and market systems that vastly reduced the cost of exporting to and communicating with the global North. The international economic crisis laid bare a fourth obstacle to a growth strategy based on manufactured exports. That strategy explicitly assumed virtually unlimited demand in the global North, and particularly in the United States. It required that if countries could produce competitively, their sales would be assured. Yet the downturn of the late ‘00s could be understood as a crisis of inadequate demand. On the one hand, it resulted from deepening inequalities in much of the global North, offset in part by excessive household borrowing. On the other, it reflected the suppression of wages to support continued exports in much of East Asia, including China, as well as some European countries. The growing global imbalance in demand that underpinned the boom of the ‘00s was reflected in the huge balance of payments surpluses enjoyed by the rapidly growing economies of East Asia. The recycling of those surpluses laid the basis for the credit bubble that led to the financial crisis of late 2008. Once the credit bubble burst, demand for imports by the global North contracted sharply. The prospects for resuming export-led growth remained unclear at the end of 2009. While economic expansion resumed in China and other Asian economies, exports remained far below the levels of 2008. To replace foreign demand, these countries embarked on extensive programmes to stimulate domestic sales, including subsidies for purchasers of consumer durables as well as massive investments in infrastructure. These developments had significant implications for the prospects of South Africa and other resource-based economies in the global South. South Africa participated in the boom of the mid-‘00s essentially by exporting mining products to world markets. The relatively strong rand of this period, based primarily on huge short-run capital inflows, largely blocked manufactured exports. While the economy continued to depend mostly on mining-based exports, employment growth occurred mostly in the services and construction, essentially to meet the needs of the small high-income group and state infrastructure and redistributive programmes. The international economic downturn meant that South African efforts to expand exports of consumer and capital goods faced even steeper obstacles than during the boom. To start with, demand was suppressed in the global North. But the inflow of short-term capital resumed nonetheless, apparently largely due to measures to enhance liquidity in industrialised economies. South Africa saw an inflow of almost USD6 billion in the third quarter of 2009 alone. As a result, in real terms the rand strengthened to values last seen in 2004. This situation called into question the basic thrust of South Africa’s industrialisation policy. For most of the period from 1994, whether implicitly or explicitly, the government’s industrial policy centred on supporting manufactured exports. It contained virtually no projects to meet domestic or regional demand or to create employment while raising living standards. The auto industry enjoyed by far the largest subsidies of any industry, with tax relief used mostly to encourage exports. In contrast, the more broad-based Reconstruction and Development Programme (RDP) adopted by the ANC before coming into power expected housing construction and provision of government services to prove central to driving economic growth as well as improved welfare. In the event, the conventional industrial policy pursued from the mid-1990s proved singularly ineffective. In part, that reflected inadequate resourcing and inconsistent implementation. The share of total government spending going explicitly to support agriculture, mining, manufacturing and construction fell from 4% in the mid-1990s to 3% in the mid-2000s. Moreover, the failure to limit short-run capital inflows and the consequent appreciation in the rand outweighed the limited policy support to manufacturing outside of autos. In these circumstances, exports from the mining value chain, including refined but not fabricated base metals, continued to contribute over half of all South African exports. The global structural problems laid bare by the economic crisis point to the need for more innovative approaches to development. For South Africa, a viable growth strategy should focus on meeting needs in the domestic and regional market, including basic consumer goods and infrastructure effectively funded through the state. In addition, it would need stronger measures to enhance the overall efficiency and inclusiveness of the economy by continuing to improve core economic infrastructure; addressing the serious problems with general education systems serving most black communities; and reducing the cost of living for working people, especially for food, public transport and healthcare. Finally, it should include institutional changes to mobilise domestic resources to fund priority investments while reducing dependence on short-run inflows of financing through the stock and bond markets. This relatively modest growth strategy might seem second-best to establishing a world-class modern industrial economy. Given the emerging constraints on global demand, however, it is more likely to succeed in laying the basis for sustained growth than a classical export-oriented industrial strategy. Moreover, it would do more to generate opportunities for the majority of southern Africans in the short to medium term, helping to overcome the employment backlogs that the international economic crisis aggravated. Neva Makgetla is lead economist at the Development Bank of Southern Africa (DBSA). She has previously worked for COSATU and the South African government.